Ever wondered what would happen if you could combine Janis Joplin, Bonnie Raitt and Joan Baez into one performer? Ever wondered what equal parts ?Country? and ?UFO? would create? Look no further than Lacy J. Dalton. She's one of the most instantly recognizable voices in music - the woman People magazine called ?Country's Bonnie Raitt.? From the first time Lacy J. Dalton caught the public's ear, that soulful delivery, full of texture and grit, was a mainstay of country music. When you sit down to listen to a Lacy J. She's one of the most instantly recognizable voices in music - the woman People magazine called ?Country's Bonnie Raitt.? From the first time Lacy J. Dalton caught the public's ear, that soulful delivery, full of texture and grit, was a mainstay of country music. When you sit down to listen to a Lacy J. Dalton album, you find yourself pulled in by the very power and heart in this vocalist, because she's not merely performing a ten-song set, she's bringing each and every tune to life. Lacy J. Dalton's music is a product of her wide-ranging musical tastes. She was born in Bloomsburg, Pennsylvania, into a family of music lovers. Her father played a variety of stringed instruments, sang and wrote songs. Her mother played guitar and sang harmony, and her sister was a pianist. 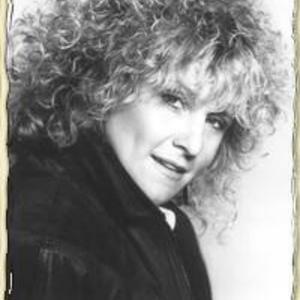 Lacy's early influences were the folk and rock sounds of Bob Dylan and Joan Baez. She's always been a writer and artist who loved music with a message and lyrics that somehow brought a new awareness to the listener. She retains this love of material with a purpose, and her songwriting reflects that appreciation. Her latest album ?The Last Wild Place Anthology? adds another 5 million-hour airplay hits in addition to the songs from her ?The Last Wild Place?, the CD that was Lacy's first move back to her singer-songwriter roots since leaving Nashville, and showcases Lacy's remarkable voice and writing talents at their finest. The music is heartfelt, acoustic-based, Americana/Folk and ranges from the quiet introspective to the rollicking good time. Lacy is an innovative and creative artist with a great deal of real-life experience and an earthy honesty that is reflected in her work. Her voice: captivating. Her songs: spellbinding. Does that sound corny? Sure it does! But don't you owe it to yourself to find out what's in store for your "Welcome to the Last WIld Place"?